Looking to do a frame up build but can't decide. I have an On One Scandal and love everything about it. I built it as SS but since switched it to 1x and now want a dedicated SS. With the deals On One is giving it's hard pass it up. But I've heard such great things about the Jabberwocky and nearly bought a used frame the other day but looking at the geo thought the size was wrong. Anyway, Inbred and Jabber owners chime in and let me know what you like and don't about your ride. I live in Az and have great trails suited for SS. 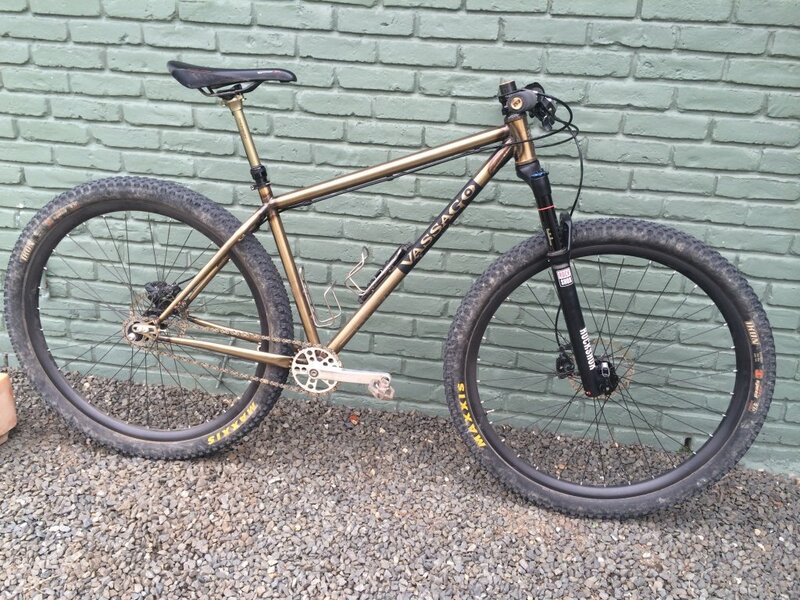 I plan on running this bike rigid. It will be a parts-bin build to begin and get rolling and upgraded as budget allows. I've owned both. I would buy a Jabber again. Not so much for the Inbred. Not that there's anything wrong with the On One, I just strongly preferred the Vassago. When I was searching out new frames last year, I made a list. The Jabber came in well above the On One, but I didn't get either of them. But if it had come down to the two of them, it would have been the Jabber. What was it that swayed you guys? The wetcat geo? I rode a Jabber for awhile, also in AZ. It's a confidence inspiring bike in that the longer chain stays make it very stable and predictable. 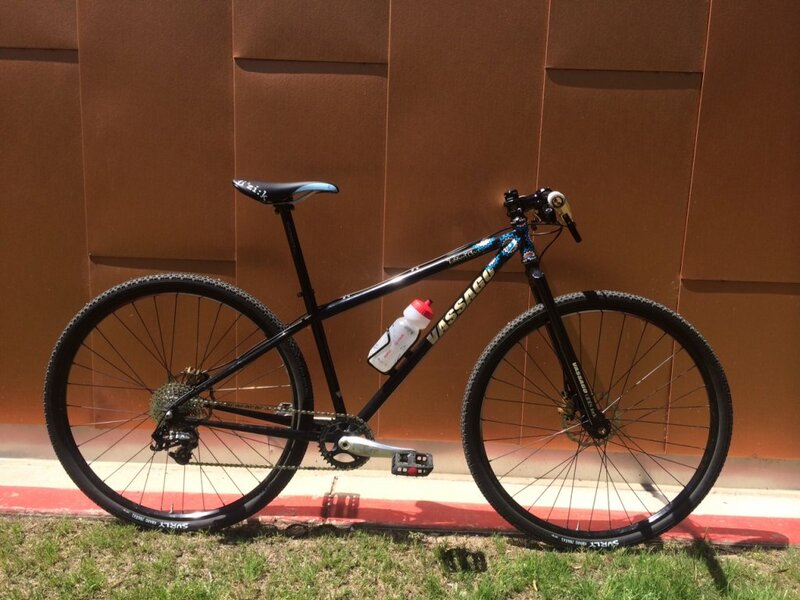 It helped me to my best SS finish at the Whiskey 50 a few years back. As my ability and confidence increased I wanted something a little less planted and a bit more nimble. I upgraded to a VerHauen but still have the Jabber, now relegated to townie/bike path duty/kid towing duties. Now that Vassago is AZ owned I like being able to put a local face (Tom's) with the bike I ride. No, really there was a large number of factors for me, including desires for a specific ride type that I didn't think the OnOne could provide, as well as compatibility with parts I already had that I needed to use for cost reasons. Part of the reason I ended up not using the Jabberwocky was the 80mm suspension correction on the frame, vs 100. I don't run a suspension fork, but if I did, it would be 100mm, not 80. That said, I think the ride quality would be better on the Jabber than the OnOne, and suspect it would be, on the whole, the more satisfying bike of the two to own. With all that said, I ended up with the Soma Juice. It's absolutely freaking fantastic in every way I can think of. You should buy the local frame. And ideally save up for a Verhauen. idaz - That is my exact same fleet! Just completed the reborn Jabberwocky, here are both. Cotharyus - I ran my Jabber at 100mm and run the VerHauen at 120mm. Fantastic! I ran my Jabber at 100, too. No problems. For me, the ride quality of the Vassago was far superior to the Inbred. Just finished building up my jabber. its my first rigid and first SS. and im actually pretty blown away with its ride quality. only taken it on smoother trails so far, but still, i'm pretty amazed with how well it rides over rougher sections for being a rigid. rails corners, even bumpy corners that you'd think would throw the bike off it just rips through them and feels glued. its a large, which is on the big side for me, and considering its wheelbase and CS length it doesnt feel sluggish at all, and this is coming from a super nimble 26" DJ/AM style bike. i actually thought it felt really quick and responsive, even through tight stuff. only complaint would be that i find it hard to get the front end up for more significant hits. especially if your pointed downhill, it would be nice to be able to pop the front up over stuff a bit easier. Going to try a short stem and see how that works. Had both the Inbred and Jabber. Preferred the ride of the Inbred, as it felt quicker and more agile to me. Jabber with the ghastly long chainstays felt like it took days to dive into a turn. Also, the long stays meant getting your weight way back for the steeper climbs. If going Vassago, I'd go VH for sure and not even both with a Jabber.